Some of the things I tried then were… were quite interesting, you see. For example, because the caesium chloride we were using to centrifuge these ribosomes was, what we say, 8 molal. That's almost like molar but not quite but you can imagine that it's 8 moles of the salt – that's very, very strong salt – and salt has to be soluble, and of course I discovered that there're bacteria that they'd got out of the Dead Sea that liked to live in 4 molar salt. So we think, why don't we try these, you know, because these will be ribosomes that like a lot of salt, so I actually got them you know, but of course we couldn't have done the experiment because they weren't sensitive to our bacteriophage, and in the end one had to do it with this. And the dramatic thing which is recounted is just lying on a beach there because we had gone out to the beach to kind of rest our weary souls; this was the last chance and I had felt... we felt it's all over, you know – we now have to settle down to a year of really boring analysis and conditions and so on; and then it occurred to me that of course, you see, it is magnesium that stabilises this, and the caesium will compete with the magnesium – not very efficiently, but enough to displace it and unstabilise it. And of course the magnesium we were putting in was a thousandth molar, the caesium we had was 8 molar; therefore the thing to do is to raise the magnesium. And of course I didn't give this argument but as recounted I sprang up and said, 'It's the magnesium, it's the magnesium', and of course, you know, François didn't know what was going on, but he went, and of course we ran back to the lab and we raised the magnesium. We said, 'How much?' I said, 'Let's do a lot', you know because you have three tubes and we said this is the last chance. So I said, 'Put in a lot, can do no harm'. So he said, 'Hundredth molar?' I said, 'All right but let's have one with tenth molar in, you know, we'll just go another 10'. So we put this in; we set up the experiment. François was so nervous he dropped the radioactive P-32 in the water-bath, and we hid the water-bath behind the Coca-Cola machine so that they couldn't find it because it was now very radioactive. In fact, I did come up… I then came several years later to Cal Tech, and I said, 'Could I have a Coke please?' And they said, 'Oh yes'. I said, 'Is the machine still in the basement?' I wanted to see if this water bath was still there. It wasn't there, but, you know, clearly it… it was safe after a few months. 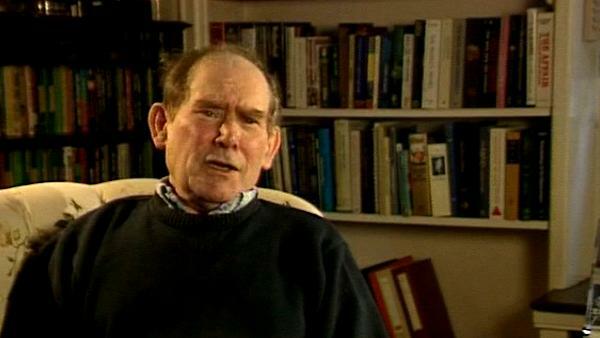 South African Sydney Brenner (1927-2019) was awarded the Nobel Prize in Physiology or Medicine in 2002. His joint discovery of messenger RNA, and, in more recent years, his development of gene cloning, sequencing and manipulation techniques along with his work for the Human Genome Project have led to his standing as a pioneer in the field of genetics and molecular biology. Lewis Wolpert is Professor of Biology as Applied to Medicine in the Department of Anatomy and Developmental Biology of University College, London. His research interests are in the mechanisms involved in the development of the embryo. He was originally trained as a civil engineer in South Africa but changed to research in cell biology at King's College, London in 1955. He was made a Fellow of the Royal Society in 1980 and awarded the CBE in 1990. He was made a Fellow of the Royal Society of Literature in 1999. He has presented science on both radio and TV and for five years was Chairman of the Committee for the Public Understanding of Science.